2 suspected human cases of bird flu have been detected in Cirebon, West Java Jawa Barat. The 2 people have been treated in Gunung Jati Hospital Cirebon isolation room since Sun 5 Mar 2017. The Health Ministry's director general of disease prevention and control M Subuh has confirmed the report. "Both have made direct contacts with birds tested positive for bird flu," Subuh said on Wed 8 Mar 2017 at Gunung Jati Hospital. Subuh said that results of laboratory tests will come out within the next 2 to 3 days, adding that the 2 patients' conditions had improved. When pressed about the death of a resident of Pangenan sub-district, Cirebon, from alleged avian influenza, Subuh said that the hospital did not take the blood sample. "But the current patient is the child of the deceased. The blood sample will be taken from the child," Subuh said. If the test proved negative, it would mean that the father was also tested negative for bird flu and vice versa. Cirebon Agriculture Office head Ali Efendi said that his office can only vaccinate 75 000 out of 3 million birds in Cirebon District. But we have not done it in Pangenan," Ali said. 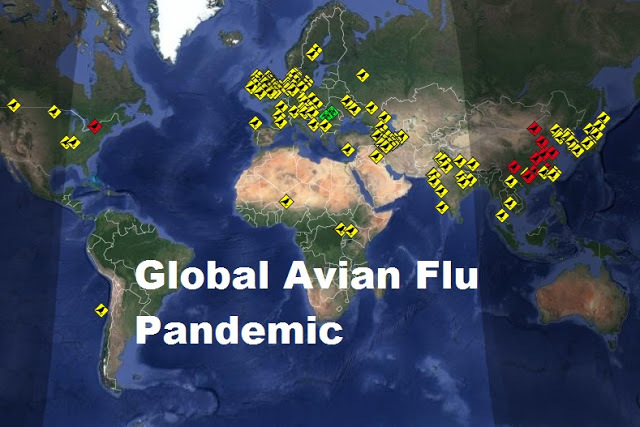 On bird flu cases, Ali said that 105 ducks in Pangenan sub-district had been tested positive for bird flu. "105 duck carcasses have been burned," Ali said. Ali added that the 105 ducks were part of 500 ducks in Pangenan sub-district that should have been burned. He said that his office does not have enough funds to pay compensation to farmers. Ali had promised to persuade the farmers to depopulate the affected flocks.